Your eyes are probably one of the most vulnerable parts of your body and there are a variety of environmental factors that can irritate them. This includes dust, wind, hot air, smoke and even air conditioning. All these can lead to dry eye syndrome, something I experienced a few months back. There is nothing more annoying than the sandy, gritty sensation that comes with dry eye syndrome. It's like having sand in your eye that you just can't quite remove. Unfortunately things like eye liner and mascara can also lead to the blockage of the glands in your eyelids resulting in inflammation. Apart from growing self confidence, eye health is one of the reasons I have stopped wearing makeup but of course, I whip it out for special occasions. Anyway, I bear good news I promise thanks to Feel Good Contacts. Started in 1998 as a wholesaler supplying contact lenses to opticians, Feel Good contacts has become a leading retailer offering affordable contact lenses and eye care products. The lovely team at Feel Good Contacts were kind enough to send me one of their Hot compress eye masks to try out and review. This is the perfect accessory to help conquer symptoms of inflammation, dry eye, puffy eyes, sore eyes, sensitivity to light, blepharitis, shall I go on? The eye mask if filled with Flak seed and works by externally heating up the eyelids thereby stimulating the glands and relieving pain. Sold at a reasonable price and no prescription needed, this is something that's worth having. Can you really put a price tag on your health? Examining your priorities in life every now and then is crucial. Exam season is creeping up fast again and I'm slowly starting to feel the pressure. I have 3 exams in May to mark the end of my first year; Biochemistry, Human Anatomy and Physiology and Nutrition. As you can imagine, there's quite a lot to get through but when the stress comes creeping, take it out on the dough. Baking has always been rather therapeutic for me, I'm not just creating a delicious batch of comfort food, I'm calming myself down. One of the best things about baking is the smell of the finished product and of course sharing my creations. My little brother presents quite the challenge when it comes to increasing his dietary fibre intake; the boy doesn't like brown bread, he doesn't like oats, heck he rarely ever touches his vegetables. And so I've been forced to come up with a few creative ways to help my mom tackle this problem. Bake it, Spiralise it or Blend it, these are my three go to methods! That's exactly how these cute little numbers came about. Each scone provides 10.8g fibre, that's half of his recommended intake of fibre/day, success! At just 200 calories per scone, they are way more impressive as those choc chip muffins he loves so much. Within the food and drink industry, fruit has to meet strict aesthetic standards to make it to the supermarket shelves. Unfortunately, crooked/misshaped fruits do not make this cut resulting in huge amounts of perfectly good fruit and vegetables being wasted. So what's the meaning of, '1 beetroot and 2 apples were saved making this drink.' Well, it means exactly that thanks to Get Wonky, a new business that gives wonky fruit a chance. Most of us recycle right? So why turn a blind eye to food waste. Get Wonky consider these drinks as a medium to create change, spreading awareness of food waste a bottle at a time. 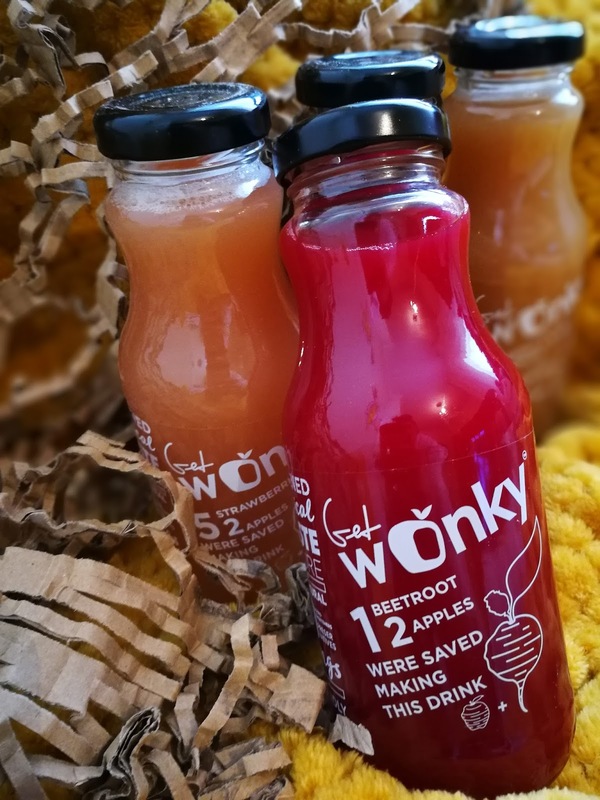 Founded by Maciek Kacprzyk and Karina Sudenyte here in Cardiff, Get Wonky are standing up to food waste by turning misshapen produce into delicious juices, using recyclable bottles instead of ones that have to be discarded and of course, they are supporting local growers by shifting the wonky produce rejected by supermarket chains. 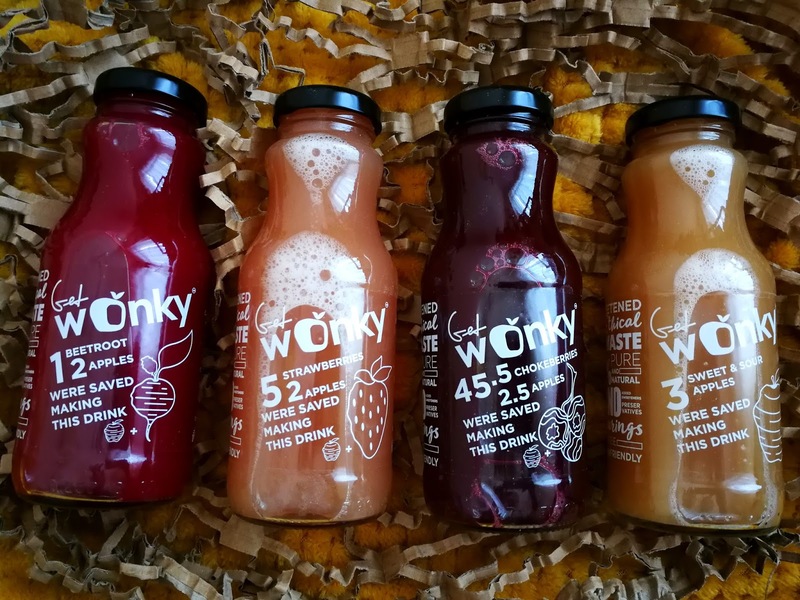 Get Wonky drinks are available in 4 flavours and taste incredible, my favourite being Strawberry and Apple. Now I'm not just saying that, they really do taste incredible and that's the beauty of 100% pure fruit juice. Aesthetics do not matter. A misshaped strawberry is still a strawberry, offering the same taste and nutritional benefits. Can we really afford to discard misshapen produce? After witnessing some of my friends indulging in Quorn Mince, I decided to cook up a mini storm for my boyfriend who surprisingly had never tried it. Quorn mince is a great alternative to meat and helps with leading more of a plant based lifestyle. You don't have to abandon meat completely, the idea is to increase plant based proteins in the diet and well, Quorn is a good place to start. With university keeping me fairly busy and working out four times a week, Quorn helps with building and maintaining muscle, it helps with meeting daily protein intake and is so easy to incorporate into meals. Here is to high quality protein that not only tastes great but requires minimal effort to rustle up.